Romania is among the few countries in the European Union to post “excellent” maize crop this year, as production in many regions is affected by hot and dry weather over the summer, while poor quality offsets Romania’s large wheat output, according to French consultant Consultancy Strategie Grains, cited by Reuters.In a report published on Thursday, Consultancy Strategie Grains cut its outlook for grain maize production in the EU by nearly 5 percent, to 58.4 million tonnes, as crop conditions continued to deteriorate in France and central Europe. “Yield potentials have deteriorated significantly again in France, Germany, Poland and central Europe, due to this summer’s hot, dry weather. These unfavorable conditions will ultimately take a heavy toll on the EU’s grain maize harvests,” Strategie Grains said in its report. France has already cut its estimate for the spring crop by 400,000 tonnes to take account of this summer’s weather. 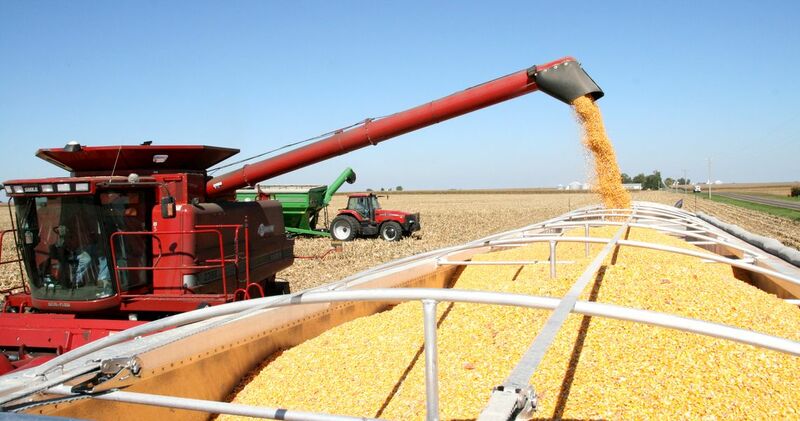 But Strategie Grains says that the outlook for grain maize yields remained excellent in Romania, Bulgaria and Italy, considered major producers. According to Reuters, drought and heatwaves since late spring have withered crops in northern Europe, fueling concern about tightening grain supplies and sending Paris wheat futures to their highest in over five years. Strategie Grains cut its estimate for this year’s EU soft wheat harvest for the seventh consecutive month, now seen at 126.8 million tonnes, down 0.9 million from last month, due mainly to reductions in Germany, the Benelux, Denmark, Ireland, Austria, Finland and Sweden. The 2018 EU soft wheat harvest would now be 11 percent below last year’s with yields at their lowest level since 2012. As a consequence of the tighter supplies and taking account of strong competition from Black Sea wheat, the analyst cut its projection for EU soft wheat exports this season by 1 million tonnes to 18.8 million tonnes, down from 19.8 million forecast in August and 20.5 million last season. In terms of quality, soft wheat grain quality was confirmed as excellent in France and satisfactory in most countries except Romania and Bulgaria, which suffered from rainy weather during harvesting, the French firm says. According to official data, Romania has registered a record wheat harvest of 10.2 million tonnes in 2018, similar to last year’s production. }n 2017, Romania posted a record harvest of cereals of 27.1 million tonnes, up 25 percent compared with 2016, wheat production soaring to all time high of over 10 million tonnes, according to a report of National Institute of Statistics (INS). According to the report, the harvested production of wheat rose by 19 percent last year to 10.03 million t (from 8.4 million t in 2016), maize increased by 33 percent to 14.3 million t, while barley grew by 5 percent to 1.9 million t.